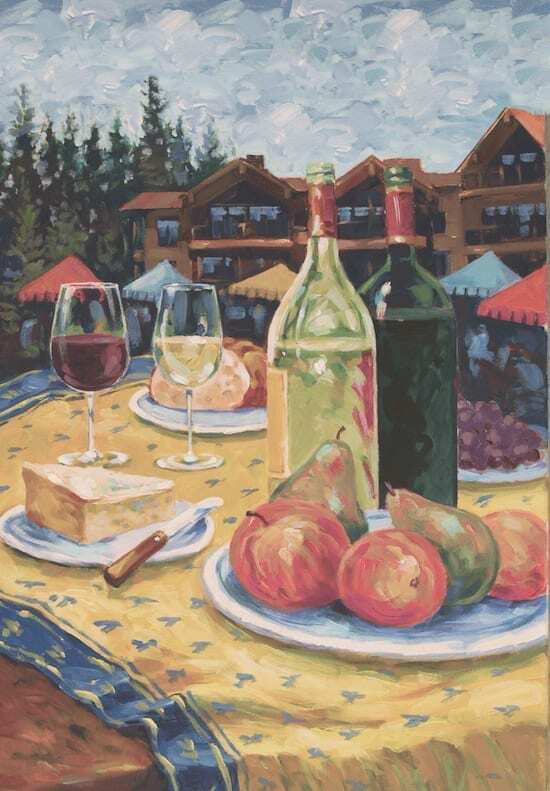 Purchase your tickets to 3nd Lake Tahoe Autumn Food and Wine Festival here. 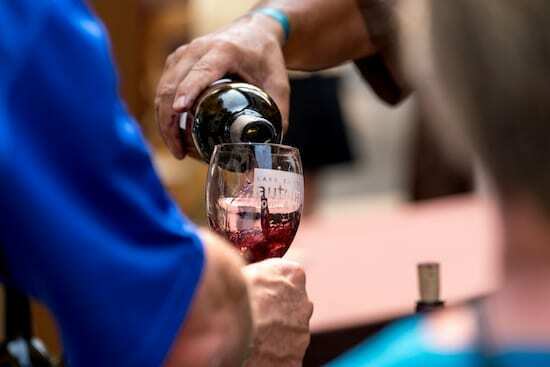 If the views of Lake Tahoe don’t make your jaw drop, the meticulously crafted food and libations of the 32nd Lake Tahoe Autumn Food and Wine Festival will. 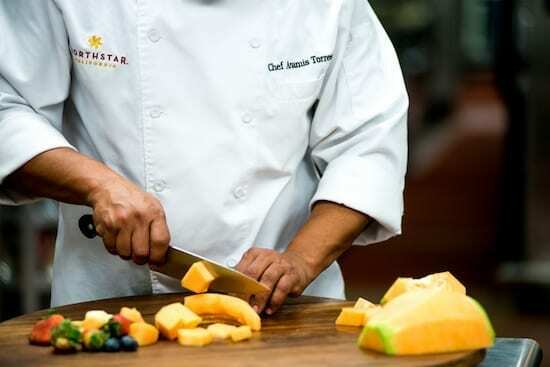 Held at Northstar California resort September 8-10, 2017, the Autumn Food and Wine Festival brings together world-class gastronomy, chefs, events and more for the whole family. Boasting over nineteen unique festival events, from yoga and wine tasting to outdoor movies or hands-on cooking demonstrations with celebrity chefs, you and your family are guaranteed to find something that piques your interest or aligns with your passion. 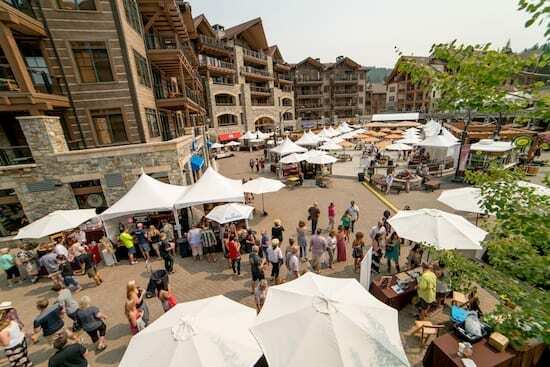 With a range of themes rarely seen at one event, the 32nd Lake Tahoe Autumn Food and Wine Festival features unique, top-notch experiences for guests of all ages, many of which are complimentary. Sessions can be experienced in a la mode fashion or you can come for the whole weekend. For those seeking movement and adventure, the Take a Hike! Progressive Picnic will be the perfect pairing for your worn-in hiking shoes. Following along with a local guide, hikers will experience total sensory bliss as they journey up Northstar Mountain while taking in the sights, blooming wildflowers, and of course, tasty bites. Guests will relish selected varietals of craft beers paired with gourmet tapas and learn about native flora and fauna, all while basking in the mountain’s natural beauty. Insider’s Tip: Be sure to dress comfortably (stretchy waistband is preferred), wear sneakers you can hike in and clear up the storage in your phone for the dozens of incredible photo opps. Saturday, September 9 – 11am to 1:30pm – $65 Advance/$75 Day Of. If wine tasting, a 1,540-foot ascent and an epic view of the Sawtooth Ridge grab your attention, set aside some time for the Vertical Mountainside Tasting. Starting in the Village at 6330’, progressing to Mid-Mountain via the Big Springs Gondola at 6850’ and culminating at 7870’, this event includes tastings along the way and ends with a glass of your favorite wine on the picturesque Zephyr Lodge deck. Saturday, September 9 – 1:30pm – 4:00pm – $45 Advance/$50 Day Of. To take away more from Autumn Food and Wine than memories, packaged goods from the Gourmet Marketplace Vendor Fair, handmade jewelry and a reinvigorated palate, attend The Art of Mixology to take away new skills. Wow guests at your next cocktail party, summer BBQ, or even cozy night in with this event that shakes and stirs entertainment and education into a workshop. Learn to incorporate cut herbs, bitters, and infused liquors to create three unique cocktails. Don’t fret about arriving on an empty stomach for this one, appetizers will be served outdoors at The Ritz-Carlton, Lake Tahoe that sits alongside the mountain at Northstar California. Friday, September 8 – 3:45pm to 5pm – $60 per person. Saving the best for last, the Autumn Food and Wine Festival culminates with the Grand Tasting & Culinary Competition – a formally judged food and wine pairing competition during which top regional chefs pair their dishes with a varietal and vintage from the winery, brewery, or distillery of their choice. A panel of food and wine industry experts will be awarding prizes for the Best Marriage of Food and Wine/Beverage, Best Food and Best Wine. The judges aren’t the only ones who get to taste some of the best food in California. Once winners are announced, the pairings are made available for ticket holders to sample, enjoy and work backward to build recipes from. Ticketed guests also have the great privilege of awarding the coveted People’s Choice Awards announced at the end of the event. Sunday, September 10 – 1pm to 4pm – The Village at Northstar and The Overlook – $75 Advance/$95 Day Of. Ticket information, event details and FAQs can be found here. The Autumn Food and Wine Festival also has activities for children of all ages. In the midst of The Village at Northstar, the Kid’s Zone offers face painting, balloon sculptures, arts & crafts and a play area. For more adventurous tykes, check out the bungee trampoline, rock wall, spider web and slide, gem panning station and miniature golf. Little night owls can shoot for the stars with a laser tour of the constellations, complete with telescopes, a fun space quiz with prizes and a poetry reading. Kids can also learn how to build and fire their own pizzas in a backyard brick oven. More competitive junior chefs can watch two teams of 8 to 12-year-old culinary artists compete for the Golden Whisk trophy in the Mountain Kid’s Cook-Off Finals. Not only is the 32nd Lake Tahoe Autumn Food and Wine Festival dedicated to filling bellies from September 8-10, 2017, our participating chefs and notable brands have shared their favorite fall-inspired recipes so you can bring the festival to your kitchen. As summer turns to fall, Chef Steve turns to hearty, slow-cooked stews. As a proponent of healthy, seasonal ingredients, Chef Steve recommends combining yellow lentil, fall delicata or butternut squash, Cherrywood smoked bacon, chard and herbs in a crock pot. This, accompanied with cornbread, honey butter and a bottle of Rombauer Chardonnay, will make you yearn for cooler nights and crackling fires. In a dish known as “Cheek to Cheek,” Chef Douglas Dale of Wolfdale’s Cuisine Unique marries grilled halibut cheeks and balsamic braised veal cheeks for an elevated version of “surf and turf” that is guaranteed to leave you speechless. 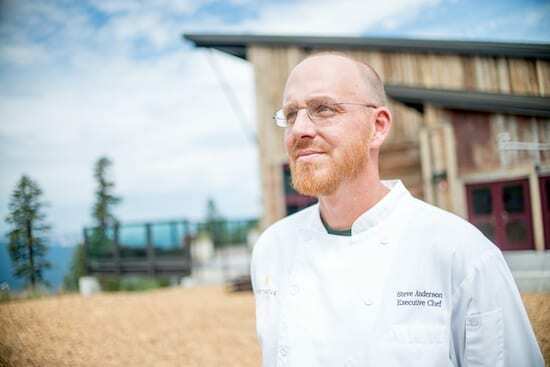 During the summer, Chef Douglas can also be found browsing local farmer’s markets with visitors who learn firsthand from a local expert how to select and prepare in-season ingredients to make mouthwatering dishes. One of the highlights of the Festival is the Charbay Annual Party with Master Distiller and notorious hype-man, Marko Karakasevic of Charbay Artisan Distillery. Yet for those who cannot make it Zephyr Lodge on Saturday to taste a variety of handcrafted cocktails, you can infuse Charbay into your home bar. Try the well named Tahoe Libre, which features 1.5 oz of Charbay Double Aged Rum, .5 oz of yuzu juice, .5 oz of simple syrup, freshly picked mint and Champagne. Combine ingredients in cocktail shaker, shake and double strain into a chilled glass. Add Champagne float and garnish with mint. If you find yourself lakeside, stop by Wolfdale’s Cuisine Unique and taste Charbay’s fine line of spirits with the Laughing Buddha cocktail infused with Green Tea Vodka. 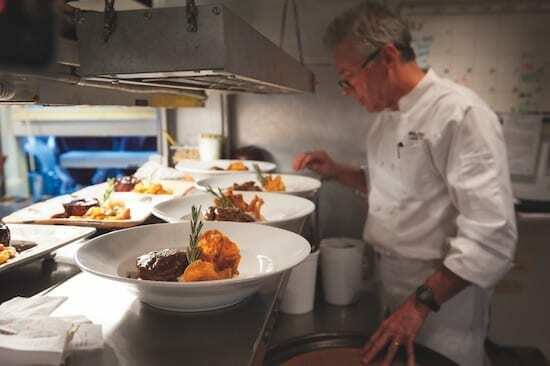 The 32nd annual Lake Tahoe Autumn Food and Wine Festival benefits Project MANA, a hunger hunger-relief non-profit that supports 3,000 individuals across three counties in Nevada and California within the North Lake Tahoe/Truckee.